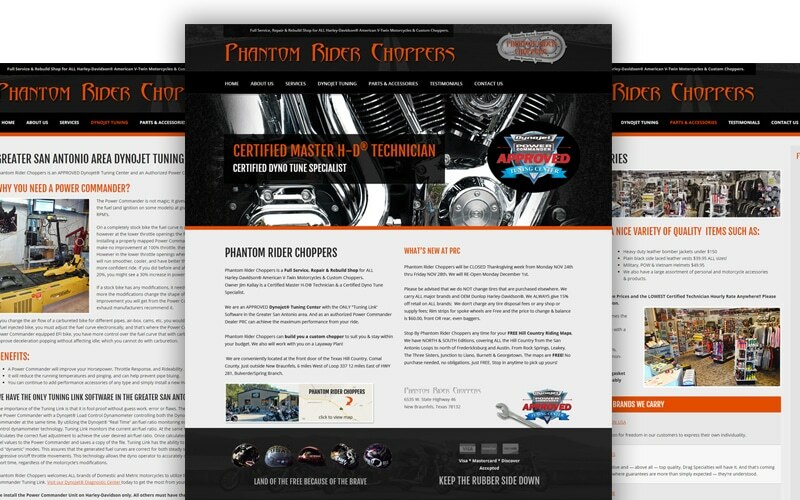 Their new site includes all kinds of new functionalities, including the ability to update their content as needed to help promote the motorcycle events they frequently sponsor and/or attend. 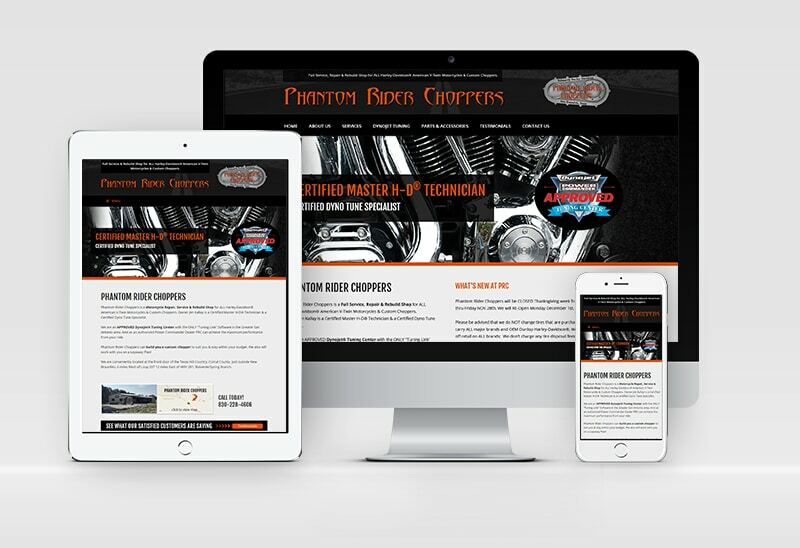 As a repair shop, mobile functionality was also a key: customers who find themselves stuck on the side of the road are now able to quickly access and view PRC’s contact info displayed seamlessly on their mobile devices. 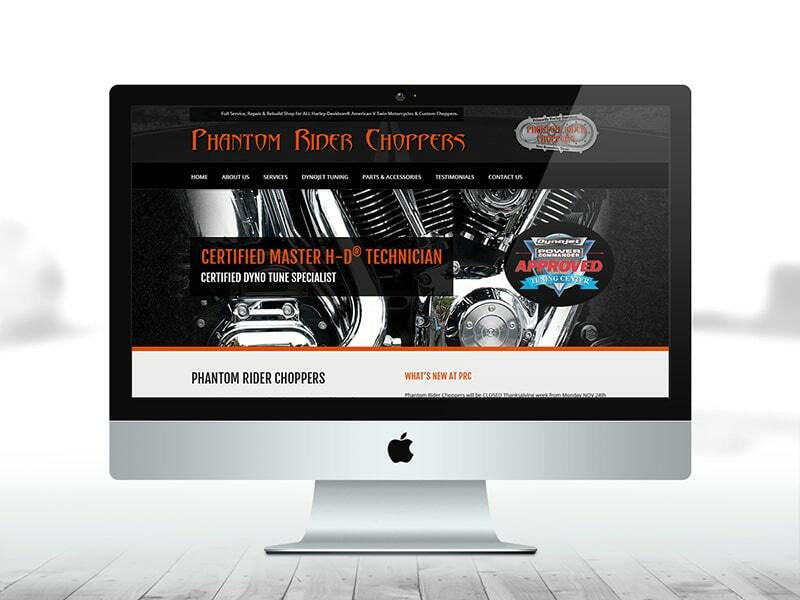 By the time they found me, PRC was going on their third website and designer. They now finally feel they have found the perfect complement to their business with my web services.